I run a Mastodon instance, and for several reasons it didn’t really take off. I was going to shut it down but I sort of like having my own outpost in the fediverse. When I decided the domain name it was hogging was better used for a new project, I wanted to move the instance to a subdomain. 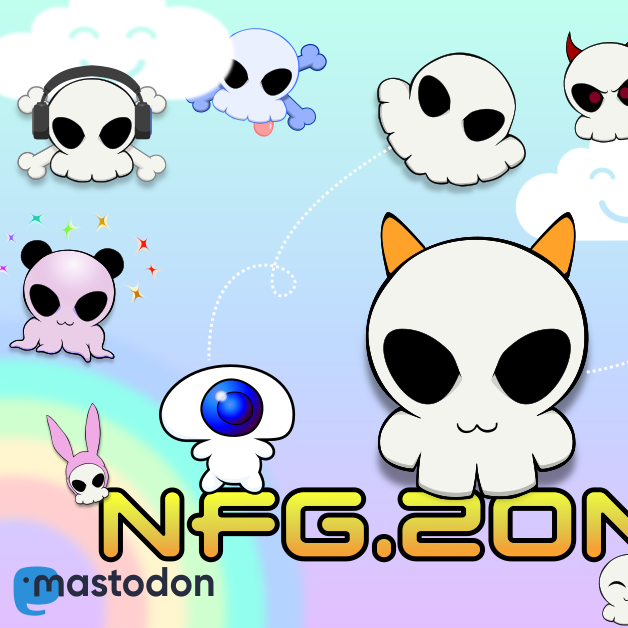 Rather than nfg.zone, I wanted it on mstdn.nfg.zone, and for anything that isn’t Mastodon this is a simple thing to do. I needed to run them both at the same time for a transition period, while any followers easily made the switch to the new domain. I didn’t want my server to run two whole Mastodon installs, and so my goal was to re-use as much existing infrastructure as I could. I knew the Postgres database server could be re-used, but what about redis? The Mastodon app directory? The Linux user? How much separation needed to exist between the instances? Pretty much everything remains the same, but you need to specify a new database name (the default is Mastodon_Production). All your ports and users remain the same. You can edit this file manually later. For whatever reason, my new file didn’t include a lot of stuff the old one did, so you can copy it from the working file to the new one. Now that the wizard has created another .env.production file, sort it out. The new file, .env.production, should be renamed to something new (like .env.new) and the one you backed up re-named to .env.production so your existing instance doesn’t fall over. You’ll need to add three new lines to your new instance .env file. By default, the new instance will store all its incoming media in the same directory as the existing instance ( live/public/system/ ) but I wanted mine separate so I could nuke the old stuff when the old instance went dark. The Paperclip directives change the storage location to the directory you indicate. Also, a new Redis namespace so the two instances don’t smash into each other. Load up your nginx config, which is normally /etc/nginx/nginx.conf. First, Copy the existing server block and then change the server name to wherever your new instance will live (ie: mstdn.nfg.zone). Next, find and change the two ports in the new server block. By default they’re location @proxy and location /api/v1/streaming, ports 3000 and 4000 respectively. They can be whatever you like, but I just changed them to 3001 and 4001. Copy and edit every service file (they’re in /etc/systemd/system/ and are normally called mastodon-something.service). Change the names, obviously. Once the new service files exist, register them and start them up, as detailed in the official install guide. Or, you know, whatever you named your new services. To restart Mastodon if you’ve changed the .env file, just restart the services.